After Britain declared war on Germany on 3 September 1939, British codebreaking operations were moved from London to Bletchley Park. 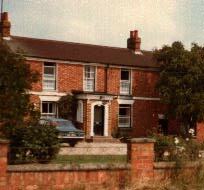 This country house was near the then small railway town of Bletchley, half-way between Oxford and Cambridge. See this modern map for the site, close to Bletchley railway station. 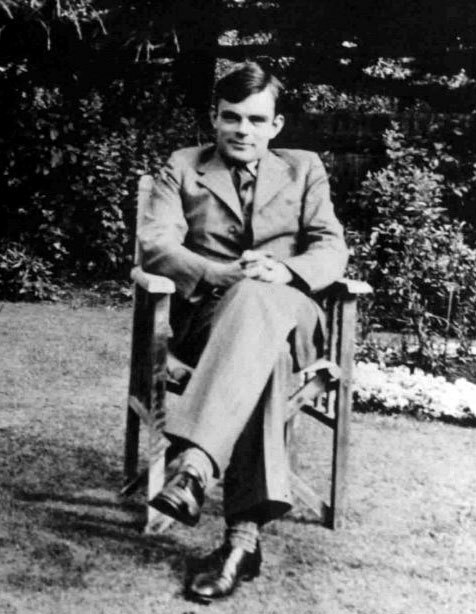 Between 4 September 1939 and the summer of 1944, Alan Turing lodged at The Crown Inn, at Shenley Brook End, a village to the west of Bletchley. is now completely changed. War did not stop Alan Turing being an individualist. In 1940 he buried some silver bars near Shenley. In 1944, 1946 and 1952 he tried to find them and failed. No-one knows what happened to his buried treasure! Bletchley Park can still be seen today because the wartime site was left largely unchanged after 1945. In 1991, the site was saved from property development, and amazing work of reconstruction was done by the original curator, the late Tony Sale, and his collaborators. Now the house and grounds are managed by the Bletchley Park Trust. The Bletchley Park Museum website gives full details of how to visit the museum and the various events held there. The website has a history section, with the origin of the Enigma work described here. with more extensive technical explanation, copies of original documents, and a Virtual Tour of Bletchley Park with photographs. 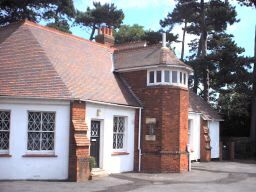 Some parts of the Second World War material are covered by National Museum of Computing, also on the Bletchley Park grounds, but separately managed. The huts: my photo, August 1998. Everything to do with intelligence was dominated by the technicalities of the Enigma cipher machine, the key to German communications. 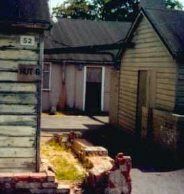 Alan Turing's wartime life was spent mainly in the Huts erected in the grounds of Bletchley Park, where the technical work of codebreaking was done. Hut Eight, where Alan Turing worked on the naval Enigma, is in the centre of the picture. To the left is Hut Six (Army and Air Force signals). To the right is Hut One. This is where, in March 1940, the machine that defeated the Enigma was first installed. Most German communications were enciphered on the Enigma cipher machine. It was based on rotors whose movement produced ever-changing alphabetic substitutions. In its military use, the basic machine was greatly enhanced by a plugboard, visible on the front of the machine. The ciphers it produced were supposed to be unbreakable even by someone in possession of the machine. Ideas of great logical ingenuity were needed to defeat it. If you want to see an Enigma in real life, this page by David Hamer tells you some locations. If you are Bill Gates, you may like to buy one. Even cheaper: this on-line simulator by Dirk Rijmenants, with elegant and realistic graphical layout and a challenge. The Enigma has become an icon and a cult object in its own way. This is explored in a book by Dominik Landwehr (in German): Mythos Enigma. In fact, the Enigma had to be broken afresh over and over again. The hardware in the picture is not the whole story, and capturing it did not allow Enigma messages to be read. 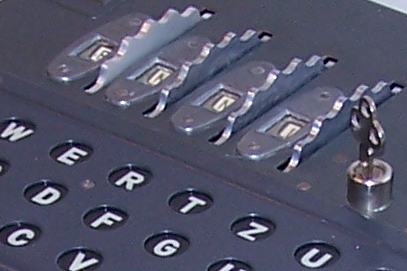 The German use of the Enigma depended on systems for setting the keys for each message transmitted, and it was these key-systems that had to be broken. There were many such systems, often changing, and the hardware was changed as well from time to time. The brilliant pre-war work by Polish mathematicians enabled them to read Enigma messages on the simplest key-systems. The information they gave to Britain and France in 1939 may have been crucial, but it was not sufficient for the continuation and extension of Enigma breaking over the next six years. New ideas were essential. In late 1939, Alan Turing and another Cambridge mathematician, Gordon Welchman, designed a new machine, the British Bombe. The basic property of the Bombe was that it could break any Enigma-enciphered message, provided that the hardware of the Enigma was known and that a plain-text 'crib' of about 20 letters could be guessed accurately. The cottage in the stable yard of Bletchley Park, where Alan Turing worked with Dillwyn Knox in the winter of 1939-40. Alan Turing made a brilliant contribution to the design with an idea that he himself related to the principle in mathematical logic that 'a false proposition implies any proposition.' It was this idea that overcame the apparently insuperable complication of the plugboard attachment. But that idea was just the beginning of a continuous struggle. The work done by Turing and his colleagues at Bletchley Park brought cryptology into the modern world. It required ingenious logic, statistical theory, the beginnings of information theory, advanced technology, and superb organisation. of the logical principle of his Bombe. The Bombe implemented a very ingenious algorithm for testing Enigma settings and rejecting all but a very few as inconsistent with the data. The Wikipedia page has a full explanation. Another source of on-line information on the use of the Enigma and the Bombe is on Tony Sale's site. This gives a full technical description and explanation of the Enigma machine and its use. It also offers a 'Virtual Bletchley Park' area with a page detailing his explanation of how Turing arrived at the idea of the Bombe, and another about the Polish breaking of the Enigma which preceded it. It includes an on-line simulator of the Bombe, and much more historical information. A 1944 American report gives a very clear explanation of how the Bombe was used to break Enigma messages. Another clear explanation of the principle of the Bombe is given by Graham Ellsbury on his Enigma pages. 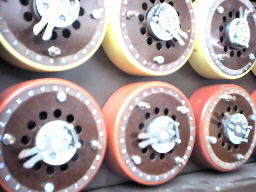 The Bombes were built by British Tabulating Machinery at their factory in Letchworth, Hertfordshire. The first was in use by May 1940 and breaking German Air Force messages. It was called (with an optimism unjustified by current events) Victory . The second arrived in August, It was called Agnus Dei , the extraordinary choice of name being ascribed to Turing. (He might well have remarked that it would be an effective way of taking away the sins of the world.) Eventually, there were over 200 Bombes in the Bletchley vicinity. In the 1990s a team led by John Harper began rebuilding a copy of Turing's Bombe, and it is now working at the Bletchley Park Museum as a major feature of the display. News story on the running of the rebuilt Bombe, 6 September 2006. Everything about the breaking of the Enigma cipher systems remained secret until the mid-1970s. Partial accounts then emerged constrained by continuing secrecy about technical matters. Gordon Welchman gave the central principle of the Bombe in describing his own contribution in The Hut Six Story, 1983. In the mid-1990s virtually everything was released from secrecy, and since then this fascinating history has been studied in great detail. Codebreakers, eds. F. H. Hinsley and A. Stripp. F. L. Bauer, Decrypted Secrets, gives a full account of the Enigma as part of a serious work on modern cryptology. Michael Smith, The Secrets of Station X , following on from a 1999 Channel Four television series. 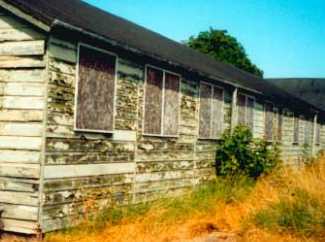 Hut 6, Bletchley Park, where the German Air Force signals were broken with the help of Turing's Bombes. I took this photo in 1998. Snce then, the Hut has been splendidly restored by the Bletchley Park Museum. 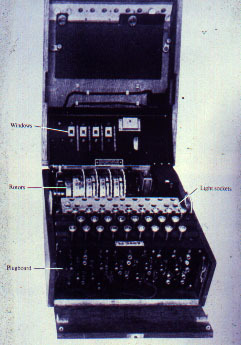 The Bombe was used with success from the summer of 1940 onwards, to break messages enciphered on the simpler Enigma system used by the German Air Force. But the most important messages were those to and from the U-boat fleet, and these were enciphered on a much more secure Enigma system. Alan Turing took on this problem, going against the prevailing view that it would prove unbreakable. Although he had crucial new ideas at the end of 1939, not much practical progress could be made. In 1940 they were desperate. See the October 1940 Operation Ruthless plan devised by Ian Fleming, later the creator of 'James Bond', to capture such information for Turing's work. These are some of the main people with whom Alan Turing worked. Before the war, his 'boss' was old-timer Dillwyn Knox. Peter Twinn joined in early 1939. From September 1939, they were joined by Gordon Welchman. In June 1940, Joan Clarke joined. In 1941: From February, Shaun Wylie. From March, Hugh Alexander. From May, Jack Good. Peter Hilton joined in January 1942. Alan Turing recruited Shaun Wylie as a fellow graduate student from his Princeton days. Joan Clarke was brought in by Gordon Welchman, when she finished her Cambridge fourth year in mathematics. She became Alan Turing's closest friend, and in early 1941 he proposed marriage to her, which she accepted. Immediately, however, he told her of his 'homosexual tendencies', and the engagement ended in August 1941: he quoted Yet each man kills the thing he loves from Oscar Wilde. His confidences to her showed that the refugee boy Bob was on his mind. His friend Fred Clayton had written a fictionalised account of how the connection with the refugees had come about, and he gave this to Joan as a way of airing the subject of his sexuality. After 1942 he had less to do with Hut Eight, and was most friendly with Donald Michie, who joined Bletchley Park in 1943. Shaun Wylie, Joan Clarke and Jack Good spoke for the 1992 television documentary: see the YouTube version. The breakthrough came in February 1941, with the capture of papers from the Krebs off Norway. Hugh Sebag-Montefiore, Enigma: the battle for the code. David Kahn, Seizing the Enigma. From then on, with the help of some further captures, the U-boat communications were effectively mastered. Alan Turing continued to head the cryptanalysis of all German Naval signals in Hut Eight. The naval Enigma was more complicated than those of the other German services, using a stock of eight rather than five rotors. For the Bombe to work in a practical time it was necessary to find ways of cutting down the number of possibilities. 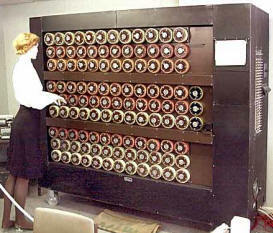 Alan Turing developed 'Banburismus,' a statistical and logical technique of great elegance, to find the identity of the rotors of the enciphering Enigma before using the Bombe. Turing made major developments in Bayesian statistical theory for this work, with his assistant (I. J.) Jack Good, who joined in May 1941. Two important papers by Turing describe his statistical theory. They can be obtained directly from the National Archives. They were only released by GCHQ in April 2012. See this news item. See Steve Hosgood's page on 'Banburismus' for a detailed description of the whole process. The Wikipedia pages on Banburismus and Sequential Analysis also explain the methods. Tony Sale's site also has a sequence of pages on Naval Enigma explaining in considerable detail what Alan Turing did and how Banburismus worked. On 1 February 1942, the U-boats changed to an even more complicated Enigma system, involving a fourth rotor. Their communications became effectively unbreakable until December 1942, when captures and brilliant tricks allowed codebreaking to be restored. There is no known photo of Alan Turing during the war. This, taken just before the war, is not how he usually looked at Bletchley. He was a hippy before his time, dispensing with ties and suits. are available as transcriptions on Graham Ellsbury's website. The chess champion Hugh Alexander became Turing's deputy in Hut 8, and took over in November 1942. Mahon took over later in the war. The positions of these four rotors on the naval Enigma machines were of critical importance to the war and occupied the minds of Hut 8 day and night. An American film, U-571, drew on the story of the material captured in 1941 but fictionalised it as an American achievement. You can see US Navy comment on this fictionalisation here. Robert Harris's thriller novel Enigma was adapted as a film Enigma by Tom Stoppard. It depicts the naval Enigma problem in the 1943 period. The story is fiction, and the film does not show the actual Bletchley Park location. The film also endows the fictional lead character with allusions suggesting he is 'really' Turing himself. See my review of the film. However, more care was taken in representing the technical background. Tony Sale's detailed pages describe how he scrupulously devised suitable messages and Enigma methods for this film. This was not the first (nor the last) fictional drama portraying Turing's role at Bletchley Park; the earliest was the distinguished novelist Ian McEwan's television film The Imitation Game (1980). At the end of 1942, Alan Turing's war experience had changed him in many ways. It gave him experience of digital electronics. It made him fascinated by the idea of 'intelligent machinery'. And it made him a top level liaison between the United Kingdom and the United States. All these developments were to come together in the post-war world of the computer, with Alan Turing at its centre.